Andrew Barry studied Natural Sciences and the History and Philosophy of Science at Cambridge University. He subsequently held a joint SERC/ESRC studentship at the Science Policy Research Unit, University of Sussex, where he completed his DPhil in Science and Technology Studies in 1988. This was followed by Lectureships in the Department of Human Sciences at Brunel University (1987-91) and the Department of Sociology at Goldsmiths’ College (1991-2006). 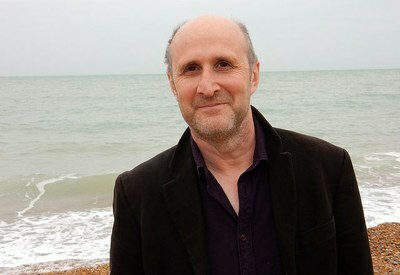 Andrew moved to Oxford University in 2006, where he was Reader in Geography and subsequently Professor of Political Geography in the School of Geography and the Environment, and a Fellow at St Catherine’s College. While at Oxford, he was Academic Director of the Masters’ programme in Nature, Society and Environmental Policy and co-convenor of the Technological Natures Research group. He joined the Department of Geography at UCL as Chair of Human Geography in September 2013. While a graduate student, Andrew was awarded a scholarship by the European Parliament and was involved in the formation of the Parliamentary office for Science and Technology Options Assessment. Drawing on this experience, and additional funding from the ESRC, Andrew’s subsequent publications and his first book, Political Machines: Governing a Technological Society (2001), were focused on the politics of science and technology in the European Union. Political Machines was awarded the Philip Abrams memorial prize by the British Sociological Association in 2002. His most recent books, Interdisciplinarity: Reconfigurations of the Social and Natural Sciences (ed. with G Born, 2013) and Material Politics: Disputes along the Pipeline (2013), both followed from further periods of ESRC funded fieldwork in the UK, the South Caucasus and Turkey. He has continued to be involved in a series of innovative initiatives in social and geographical theory, which have led to the publication of edited collections of papers relating to the work of Michel Foucault (Foucault and Political Reason), Michel Callon (The Technological Economy) and Gabriel Tarde. At Goldsmiths College, Andrew was a member of the London History of the Present network and co-founded the Centre for the Study of Invention and Social Process. He is a long-standing member of the editorial board of Economy and Society and is on the advisory boards of Social Movement Studies, International Political Sociology and Distinktion: Scandanavian Journal of Social Theory. He has held visiting positions at New York University, Istanbul Technical University, Halle University, and University of California, Santa Cruz. Material Politics: Disputes along the Pipeline, Oxford: Wiley-Blackwell, 2013. Barry, A. and Born, G. (eds.) Interdisciplinarity: Reconfigurations of the Social and Natural Sciences, London and New York: Routledge, 2013. Barry, A. and Slater, D. (eds.) The Technological Economy, London and New York: Routledge, 2005. Political Machines: Governing a Technological Society, London and New York: Athlone Press, 2001. Barry, A., Osborne, T. and Rose, N. (eds) Foucault and Political Reason: Liberalism, Neo-Liberalism and Rationalities of Government, Chicago: Chicago University Press and London: UCL press, 1996. ‘Infrastructure and the Earth’ in C. Jensen and P. Harvey (eds.) Infrastructure and Social Complexity, London: Routledge, 168-178, 2016. (and M. Maslin) ‘The Politics of the Anthropocene: a dialogue’, Geo: Geography and Environment, 3, 2, 1-12, 2016. Geography and other disciplines: genealogy, anamnesis and the canon’, Journal of Historical Geography, 49, 85-93, 2015. ‘Thermodynamics, Matter, Politics’, Distinktion: Scandinavisn Journal of Social Theory, 16, 1, 110-125, 2015. ‘The Oil Archives’, in Appel, H., Mason, A. and Watts, M. (eds.) Subterranean Estates: Life Worlds of Oil and Gas, Ithaca, NY: Cornell University Press, 95-107. ‘Response’, Dialogues in Human Geography, 5, 113-115, 2015. ‘Afterword’ in Gilberthorpe, E. (ed.) The Anthropology of Resource Development, Farnham: Ashgate, 273-280, 2014. ‘Pipelines’ in Thrift, N., Tickell, A., Woolgar, S., Rupp, W. (eds.) Globalisation in Practice, Oxford: Oxford University Press, 63-68, 2014. The Translation Zone: between actor-network theory and international relations’, Millennium: Journal of International Studies, 41, 3, 413-429, 2013. Barry, A. and Born, G., ‘Interrogating Interdisciplinarity’, in Barry, A. and Born, G. (eds. ), 1-56, 2013. Weszkalnys, G. and Barry, A., ‘Multiple Environments: accountability, integration, and ontology’, in Barry, A. and Born, G. (eds. ), 178-208, 2013. Born, G. and Barry, A., ‘Art-Science: from public engagement to public experiment’, in A. Barry and G. Born (eds. ), 247-269 [republication of 2010]. ‘Political Situations: Knowledge Controversies in Transnational Governance’, Critical Policy Studies, 6, 3, 324-336, 2012. ‘Materialist Politics: Metallurgy’ in Braun, B. and Whatmore, S. (eds.) Political Matter: technoscience, democracy and public life, Minneapolis: Minnesota University Press, 89-118, 2010. Born, G. and Barry, A., ‘Art-Science: from public understanding to public experiment’, Journal of Cultural Economy, 3, 1, 103-119, 2010. ‘Networks’, Radical Philosophy, 165, 35-41, 2010. ‘Transparency as a Political Device’, in Akrich, M., Barthe, Y. Muniesa, F. and Mustar, F. (eds.) Débordements: Mélanges Offert à Michel Callon, Paris: Presses des Mines, Paris, 21-40, 2010. ‘Tarde’s Method: between statistics and experimentation’ in Candea, M. (ed) The Social after Tarde: Debates and Assessments, London: Routledge, 177-190, 2010. ‘Visible Invisibility’, New Geographies, 3, 67-74, 2009. Barry, A., Born, G. and Weszkalnys, G., ‘Logics of Interdisciplinarity’, Economy and Society, 37, 1, 20-49, 2008. ‘Political Invention’ in Asdal, K. Brita, B. and Moser, I. (eds. ), The Politics of Interventions: a history of STS, Oslo: Oslo Academic Press, 287-308, 2008. ‘Technological Zones’, European Journal of Social Theory, 9, 2, 239-253, 2006. ‘Actor-Network Theory’ in Harrington, A., Marshall, B. and Müller, H-P (eds), 4-5, 2006. ‘Michel Foucault’ in Carver, T. and Martin, J. (eds.) Contemporary Political Thought, Basingstoke: Palgrave, 244-259, 2006. ‘Pharmaceutical Matters: the invention of informed materials’, Theory, Culture and Society, 22, 1, 51-69, 2005. ‘The British-Georgian Case: the Baku-Tbilisi-Ceyhan pipeline’ in B Latour and C Gramaglia (eds) Territoires, environnement et nouveaux modes de gestion: la gouvernance en question, Paris: CNRS, 105-118, 2005. Barry, A. and Kimbell, L., ‘Pindices’ in Latour, B. and Weibel, P. (eds) Making Things Public: Atmospheres of Democracy, Cambridge, Mass: MIT Press, 872-873, 2005. ‘Ethical Capitalism’ in Larner, W. and Walters, W. (eds.) Global Governmentality, London: Routledge, 195-221, 2004. ‘Organics’ in Harrison, D., Pile, S. and Thrift, N. (eds.) Patterned Ground: Ecologies and Geographies of Nature and Culture, London: Reaktion, 248-249, 2004. Barry, A. and Walters, W. ‘From Euratom to Complex Systems: technology and European government’, Alternatives: Global, Local, Political, 28, 3, 305-29, 2003. Barry, A. and Slater, D. (eds.) ‘The Technological Economy’, Economy and Society 31, 2, 175-306, 2002. Barry, A. and Slater, D., ‘Introduction: the technological economy’, Economy and Society, 31, 2, 175-193, 2002. ‘The Anti-Political Economy’, Economy and Society, 31, 2, 268-284, 2002. ‘In the Middle of the Network’ in Law, J. and Mol, A. (eds.) Complexities: Social Studies of Knowledge Practices, Durham, NC: Duke University Press, 142-165, 2002. Barry, A amd Kimbell, L. Pindices, Gallery project, website and live research, Zentrum für Kunst und Medientechnologie, ‘Making Things Public’ exhibition (curated by Bruno Latour and Peter Weibel), March-October 2005; also exhibited at London Gallery West, University of Westminster, November 2005-January 2006, Artefact festival: the Social Contract, Leuven, February 2012. At the heart of my research has been a concern with the importance of materials and technologies in political and economic life. My book, Political Machines: Governing a Technological Society (2001) focused on the vital role of technical devices in the constitution and politics of a transnational political space: the European Union. My recent book, Material Politics: Disputes along the Pipeline (2013), interrogates the way in which the production of information about materials enables the activity of materials to be managed and monitored, while also generating the conditions within which controversies can proliferate over the quality and sources of the information produced. I have an on-going interest in the importance and political significance of those natural sciences, including construction engineering, chemistry, and the geo- and environmental sciences, which are less concerned with the derivation of general physical principles than with the problem of how to analyse and govern the unruly or lively behaviour of materials in the field. In earlier work I interrogated the political importance of research on, for example, air quality (1998), steel (2002), pipeline coating materials (2010), and landslides (2013). In an ethnographic study of a pharmaceutical laboratory, I highlighted the complex impact of computer chemistry on the conduct of pharmaceutical research and examined the invention of what I have termed ‘informed materials’ (2005). I am currently interested in the transformation of the geo and environmental sciences, and supervising a DPhil research project on ‘Space and Practice in the Geosciences’ (Rachel Tily). A second concern focuses on the concept and politics of energy. In part, my interest in energy draws on my recent work on the oil industry (Material Politics). But it also emerges from my long-standing interest in materiality. Recently I have been writing on the manner in which energy has been theorised in human geography, developing from Isabelle Stengers’ analysis of cosmopolitics. I am also currently interested in the politics of the idea of the Anthropocene and, more broadly, the geopolitics of the carbon economy. I supervise two doctoral students working on energy-related topics: the politics of hydraulic fracturing (Irem Kok) and the history of the idea of energy efficiency and ‘the rebound effect’ (Thomas Turnbull). Two former students have recently been awarded doctorates for theses on oil shale futures (Kärg Kama, http://www.geog.ox.ac.uk/staff/kkama.html ) and the political ecology of the Mackenzie gas pipeline (Erin Freeland-Balantyne). Geographers have long been concerned with the question of how to understand the relations between the physical and the political. I have been particularly interested in the role of technologies and materials in the transformation of political and economic spaces (‘technological zones’) and the invention of what I have termed ‘informed materials’. At the same time, I have sought to develop an account of the relation between government, politics and the political in a way that addresses the critical importance of materials in political life (2002). This has led to the development of the idea of the ‘political situation’, central to my book Material Politics (2012, 2013) and a developing interest in the practice of geopolitics. My approach to the relation between materiality and politics has involved a series of engagements with the work of social theorists and philosophers including Michel Foucault, Bruno Latour, Michel Callon, Gabriel Tarde, AN Whitehead and Isabelle Stengers. This has led to the publication of a number of edited collections including Foucault and Political Reason: Liberalism, Neoliberalism and Rationalities of Government (1992/1996), The Technological Economy (2002/2005), and Gabriel Tarde (2007). Much of this work has been in collaboration with others, including Thomas Osborne, Nikolas Rose, Don Slater, Mariam Fraser, Celia Lury, Nigel Thrift, Michael Halewood and Andy Goffey. Working together with a team of anthropologists including Georgina Born, Marilyn Strathern and Gisa Weszkalnys, I carried out an ESRC funded study of interdisciplinarity (2006-8). This study involved fieldwork on a range of ‘interdisciplines’ including environmental research, ‘art-science’, and ethnographic research in the IT industry. This has led to a broader analysis of diverse ‘logics’ and ‘modes’ of interdisciplinary research that cut across the boundaries of the social and natural sciences (2008). This project has resulted in the publication of a collection of essays, (Barry and Born, Interdisciplinarity: Reconfigurations of the Social and Natural Sciences), that further develops our analysis of interdisciplinary, and includes chapters by leading scholars in Science and Technology Studies, Anthropology and Social Theory. More recently, drawing on my own teaching in the history and philosophy of geography, I have sought to broaden the scope of the geographical canon and engage with the question of the relation between geographical research and other ecologies of practice. I have contributed to wider debates about science and technology policy over a long period. As a graduate student, I was a research assistant to Dr Jeremy Bray MP, opposition spokesperson on science and technology policy, and also worked at the office of Science and Technology Options Assessment at the European Parliament. More recently, I have contributed policy papers on interdisciplinary research to the ESRC (with Georgina Born) and a discussion paper on politics and expertise to the Institute of Public Policy Research Condition of Britain project (www.ippr.org) . Together with the designer Lucy Kimbell, I was commissioned to develop a design for an exhibition on Making Things Public (2005) at the Zentrum für Kunst und Medientechnologie (ZKM) in Karlsruhe, curated by Bruno Latour and Peter Weibel. This collaborative project (Pindices) sought to make everyday political acts visible, making use of badges with accounts of specific acts (e.g. ‘I raised an issue’). The project was based, in part, on a series of brief research events at a number of sites in London including Speaker’s Corner, the Elephant and Castle shopping centre, and Tate Modern. Pindices was also exhibited at the University of Westminster and at the Artefact Festival at Stuk, Leuven (2012). http://www.lucykimbell.com/LucyKimbell/Pindices.html. I was also a member of the advisory board of the British Film Institute InView project (2008-9), which has made available a large archive of film, television and video material for use by British universities and schools http://www.bfi.org.uk/inview/ .